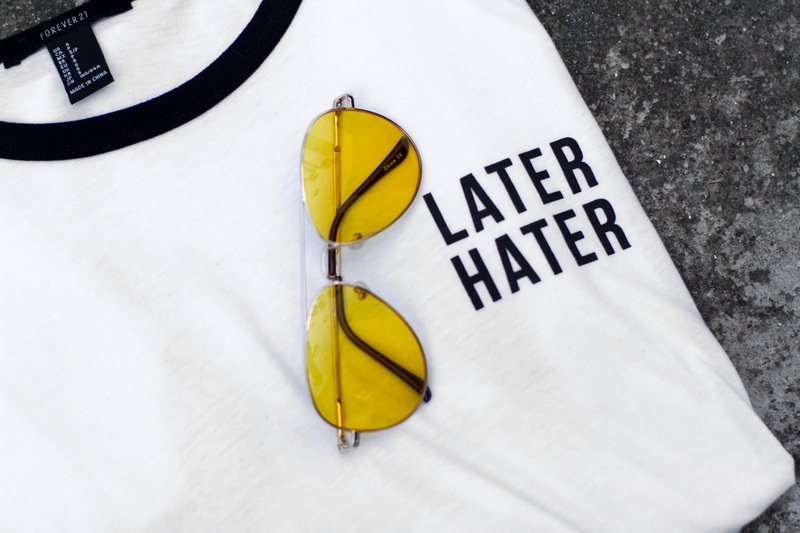 Yellow colored sunglasses are BACK and with back I mean, all the way back from the 90's. Just like the tattoo chokers, the mom jeans, platform shoes and backpacks are making their way back in the fashion scene, colored sunglasses (in particular, yellow ones) are too! Believe me when I say it's the funnest way to change up an outfit- just make sure to keep the rest of your outfit simple and not too loud to let the sunnies have their moment. 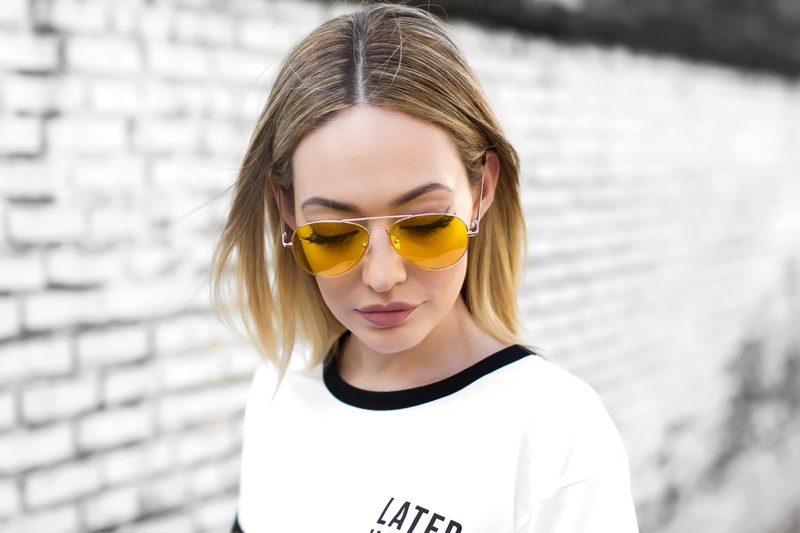 I have put some of my favorite yellow sunnies below for you to shop! Enjoy! Las gafas con lentes amarillos han vuelto, y a vuelto.. me refiero, han hecho su retorno de los 90's. Asi como volvieron las gargantillas de tatuaje, los jeans hasta la cintura, las sandalias plataformas y hasta las mochilas, estas gafas tambien han pillado la forma de volver y de una forma muy grande! Todas las grandes fashionistas, estilistas y celebridades han sido vistas con ellas y ahora tu tambien puedes- te dejo unas opciones de compra online para que tambien puedas usar esta gran tendencia. Es la tendencia mas fuerte de accesorios del 2017 y no se irá a ninguna parte! 1 comment on "THE BIGGEST TREND OF 2017 "
Love these yellow sunglasses and very cute outfit!